The plate covering the area around the gear shift lever. This plate is for the 1928-30 model A's with the emergency brake handle to the front of the gear shift lever. Powder coated black! Made in USA. The plate covering the area around the gear shift lever. This one is used for A's with the emergency brake lever to the right of the gear shift lever. Powder coated black! Made in USA. These clips make it an easy job to remove the floorboards! Just a twist on the clip, and the shift lever plate can be removed. Kit comes with rivets and washers. Made in USA. This is a set of black oxide screws and special washers for mounting the front floorboards in the Model A Ford car. Thread size 12/24" Made in USA. Floorboard screw set for the Model A Tudor Sedan. 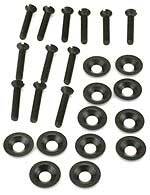 Set consists of black oxide screws and special washers for mounting the front and rear floorboards. The special countersunk washer used in mounting the floorboards. Also used for mounting some of the door hinges. Made in USA. These metal straps were riveted to the bottom side of the floorboard to support the middle of the front angled floorboard. Comes with mounting rivets as original. Set of 2. Made in USA. Floorboard iron set for the early 1928 cars. Used from the beginning of production until around March of 1928. These attached to the under- side of the floorboards for reinforcement. Held on with flat headed wood screws which are included. Set of 4. Made in USA. 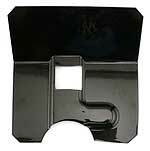 Early LHD 1928 models with the multiple disc clutch used this rubber pad around the pedals and steering column. Made in USA. 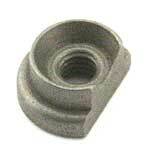 RHD pedal seal for the 1928-31 cars. Rubber pad used to seal around the pedals and the steering column on the right hand drive model A's. 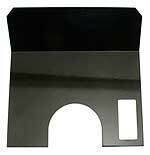 A two piece steel plate for holding the felt around the steering column and the pedals. Keeps engine fumes from entering the car. Keeps cold out. Powder coated black. Made in USA. Felt pad supplied seperately. These special plates are only used on the A-400, Vicky, Deluxe Paheton or any other model A with the dropped steering column.Set of 2. Made in USA. A heavy felt pad fitting tight around steering column and pedals. Use with metal plates. Made in USA. 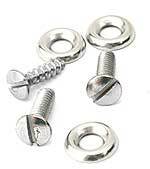 Plate mounting screw set. Contains 3 trim washers, 1 wood screw and 2 machine screws for mounting the A-35123-SP plates to the floor. Made in USA. Round rubber pad and mounting tacks to seal out the dust in the summer and the cold air in the winter. Just like the original. Made in USA. Black cotton webbing with tacks that gets put around the edge of the floorboards to seal them up. Nails to outside edge, then folds under the board and gets nailed to bottom as well. Additional floorboard seal set required for the 1928-31 Tudor Sedan. If you have a Tudor Sedan you will need this kit as well as the A-35130-S front set, to do the centre and rear boards. Clutch inspection plate for the early 1928 cars with the hand brake to the left had this plate istalled in the floorboards to allow access to grease the clutch release bearing. Made in USA.